Currently based in London born in Mexico City. Andrea Roman Studied Industrial Design at Universidad Nacional Autónoma de México, with one year exchange program at Escola de Belas Artes in Rio de Janeiro, Brazil between the jungle and the beach. Andrea specialised in ceramic cast moulding winning a Honourable Mention at the 6th Biennial of Utilitarian Ceramics in Mexico City. 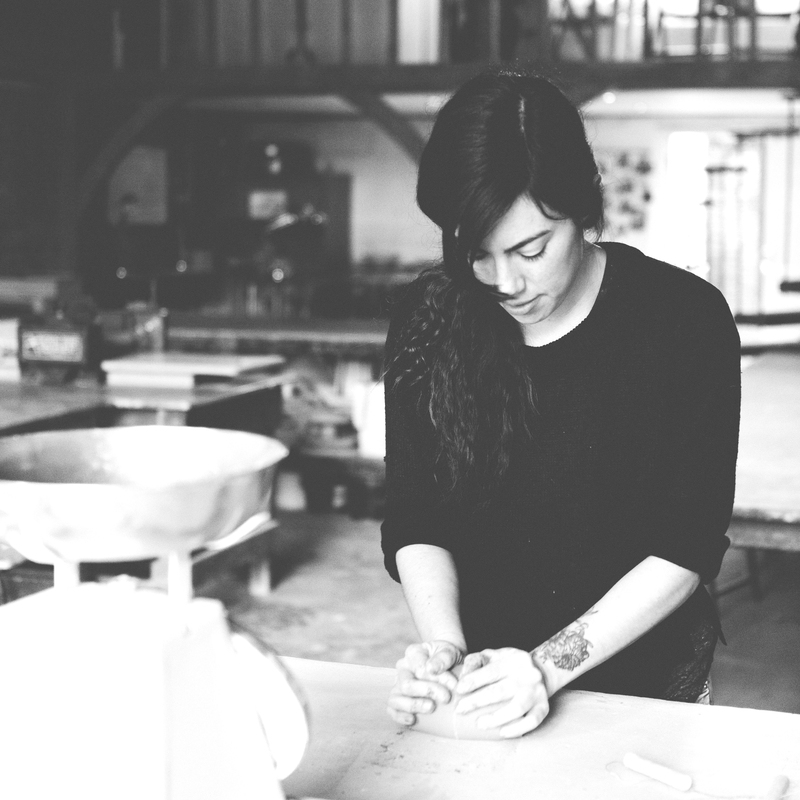 She now works from Turning Earth Ceramics Studio in East London, creating functional ceramic pieces, combining references to stone, sand and soil along with timeless shapes; while also teaching a beginners course to share her passion with others.